The cavernous boot will swallow anything you throw at it – including a fridge. When I was offered the opportunity to drive the VW Passat 2.0TSFi over the Christmas holidays I jumped at the chance. Having already planned a trip to Cape Town the thought of the luxury offered by the VW over my 20-year-old bakkie made it a no-brainer. The journey would start in the far North West and we would meander down to Cape Town via Gariep Dam and the Karoo National Park. Our plans were vague, which meant we took a fair bit more luggage than one might normally, including a 27-litre 12-volt freezer, to keep catering costs down. 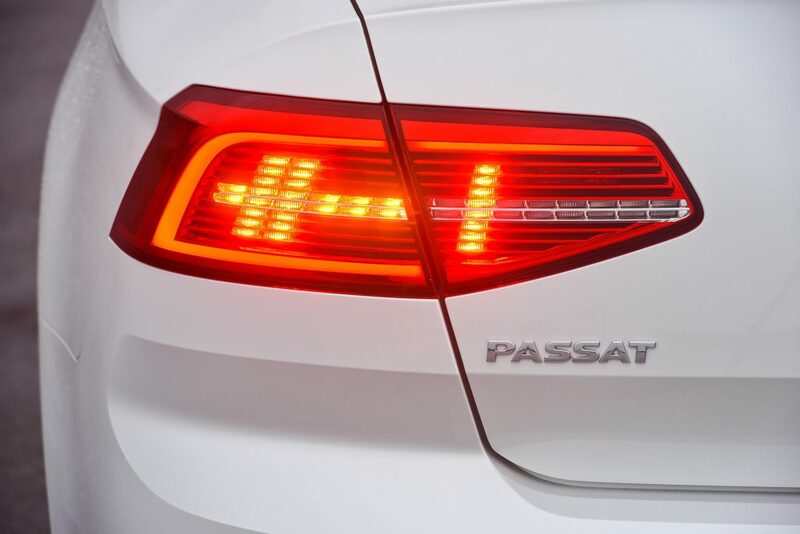 The Passat’s boot is cavernous and it swallowed everything and included a handy 12v power outlet of the conventional cigarette lighter design to keep the freezer working without the need for wires to be fed through the car’s interior. An additional convenience was the design of the boot’s external latch mechanism. The entire VW logo, generously displayed on the boot lid, is in fact the latch. This meant that when fetching and carrying items from the Passat it was easy to open. 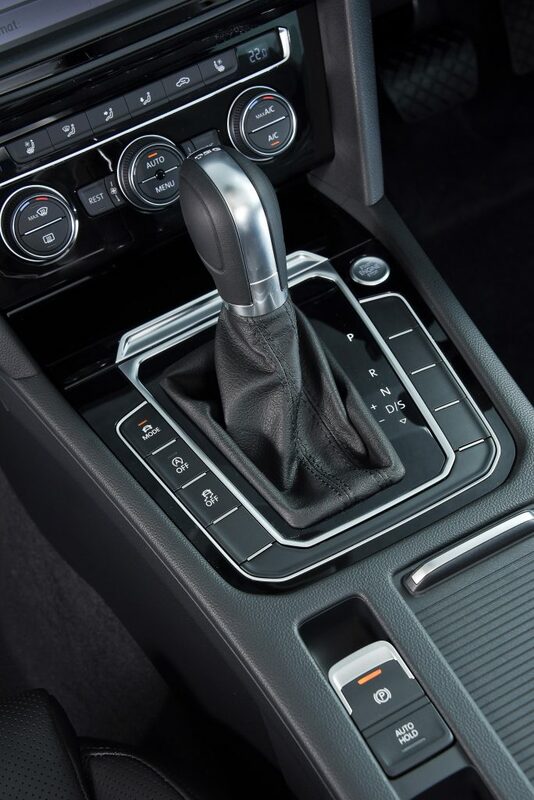 In addition the Passat has numerous storage options inside. Large water bottles could be stored in both front door pockets and the centre console could be used to charge phones and cameras via USB or 12v. 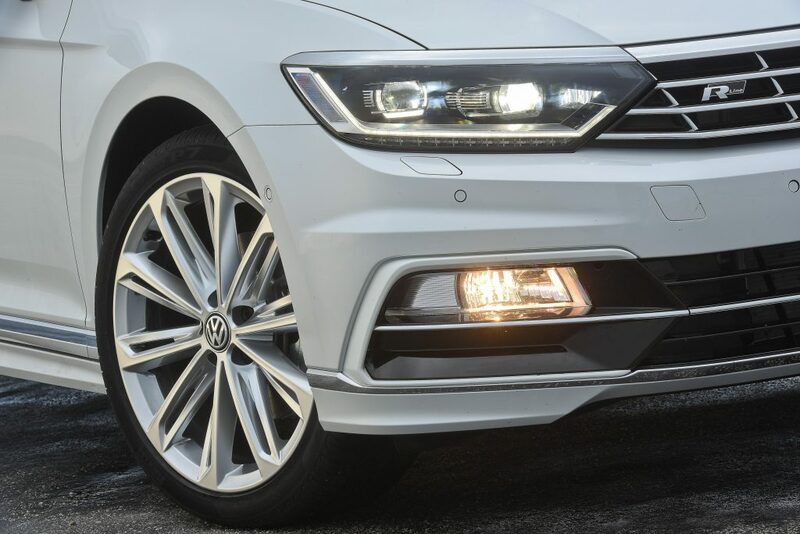 The Passat’s ride is silky smooth and despite some fairly compromised surfaces it ate up the kilometres while keeping us comfortable and cool. The 163kw and 350Nm engine is matched to a 6-speed DSG gearbox which transmits the power to the front wheels seamlessly. Most of the time I set the adaptive cruise control to the national limit and steered while enjoying the scenery. 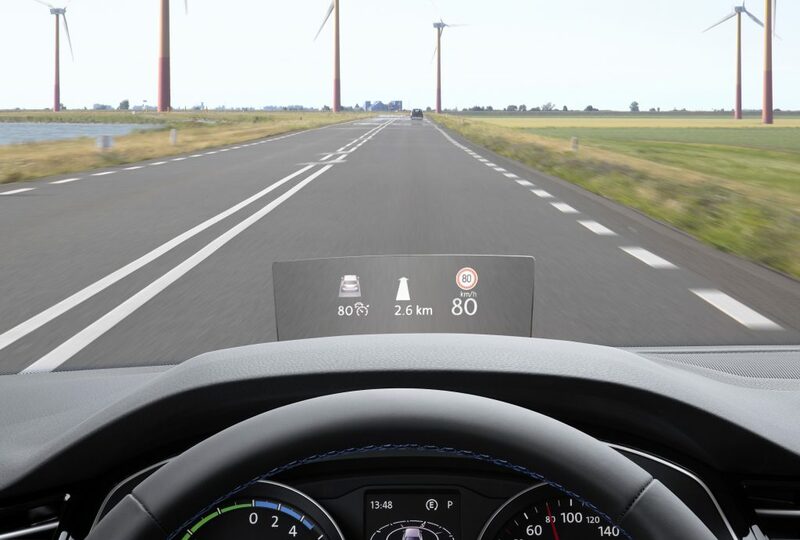 A handy feature for this type of cruising is that the Passat reads the speed signs and then displays an image of it on the head up display. Should you fail to notice a sign, the discrepancy between the speed being travelled and the limit is immediately obvious and you can adjust timeously. December in the Karoo is obviously warm and the Passat was selected as the game drive vehicle for its comfort once again. With four adults and despite the refreshments and game viewing paraphernalia that needed to be inside the car (there are lions in the park so you cannot just fetch something from the boot mid drive) all was carried in comfort. The Passat is a truly spacious vehicle. Even on the dirt roads the car proved comfortable and the large glass area made for excellent visibility all round. There is also a glass sunroof but this remained shut, there is a limit to what can be expected of an airconditioner. Once you enter the Western Cape you soon experience one of the gifts that I presume comes as part of the DA’s road safety campaign, average speed trapping. 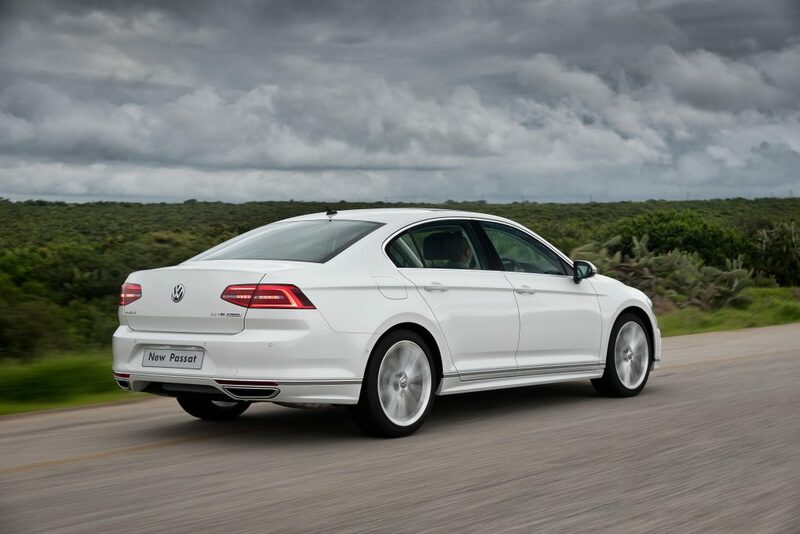 The Passat allows you to record your average speed over a chosen distance. What a blessing. I was able to pass and drive in my own safe space and keep a tab on my average speed. 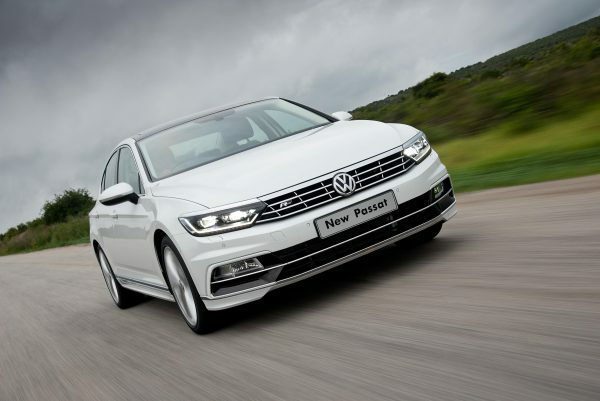 The Passat proved to be the perfect holiday car, and the fact that it was so easy to drive meant my wife was happy to take the wheel whenever I felt I needed a break. So what was her opinion you might wonder? She wants me to buy one. I am going to have to come clean on what I earn.